From Edward P. Jones comes one of the most acclaimed novels in recent memory—winner of the Pulitzer Prize for Fiction and the National Book Critics Circle Award for Fiction—now available in a limited Olive Edition. The Known World tells the story of Henry Townsend, a black farmer and former slave who falls under the tutelage of William Robbins, the most powerful man in Manchester County, Virginia. Making certain he never circumvents the law, Townsend runs his affairs with unusual discipline. But when death takes him unexpectedly, his widow, Caldonia, can't uphold the estate's order, and chaos ensues. Edward P. Jones has woven a footnote of history into an epic that takes an unflinching look at slavery in all its moral complexities. 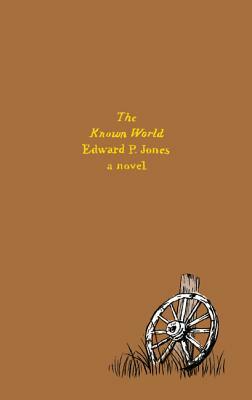 Edward P. Jones, the New York Times bestselling author, has been awarded the Pulitzer Prize, for fiction, the National Book Critics Circle award, the International IMPAC Dublin Literary Award, and the Lannan Literary Award for The Known World; he also received a MacArthur Fellowship in 2004. His first collection of stories, Lost in the City, won the PEN/Hemingway Award and was short listed for the National Book Award. His second collection, All Aunt Hagar’s Children, was a finalist for the Pen/Faulkner Award. He has been an instructor of fiction writing at a range of universities, including Princeton. He lives in Washington, D.C.